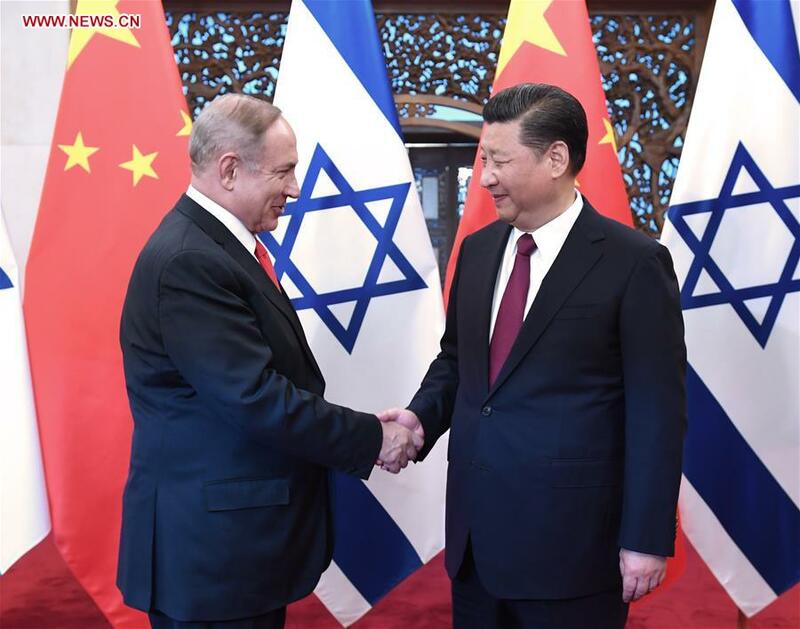 Ascension with Mother Earth and Current State of Affairs: Israel Complies To Adopt A Two-State Solution After China Visit - Middle East Peace In Your Lifetime! Israel Complies To Adopt A Two-State Solution After China Visit - Middle East Peace In Your Lifetime! Note: I published this article earlier today and it disappeared from my blog!? Republishing now. Troll/Google/CIA hacking? There are only a few websites or news outlets reporting one of the most important peace agreements in world. That of which a peace deal brokered between Israel and Palestinians, a two-state solution, in which both states have complete sovereignty and separate governments officially recognized by the global community. Apparently China has announced less than 24 hours ago, that they "appreciate Israel's adoption of the two-state solution". One would think this statement from China, would set the main stream media airwaves on fire. Even the Chinese news agency who reported this amazing agreement for a two-state solution, gives it very little attention. "A peaceful, stable and developing Middle East meets the common interests of all parties including China and Israel," Xi said. The Israel-Palestine issue has long-term and profound impact on the situation in the Middle East, Xi said, adding China appreciates Israel's adoption of the two-state solution. Netanyahu said Israel admires China's history, achievements and role in the current international community. Also an interesting note, is that an ex-Mossad chief came on record just prior to Israel's visit to China, stating that a lack of a two state solution is existential threat to Israel. Source link here. Coincidence? How about this coincidence? Newsweek magazine ran an Op-Ed, entitled "Peace in Israel Will Come Only Through a Two-State Solution" which was published on March 21, 2017. Source link here. It seems that "they" are slowly disclosing that middle east peace is coming in our lifetime once a two state solution with Israel and Palestinians are reached. It seems it has, since China just announced this ground breaking news to the world. Question remains, how long will it take to see a true public roll-out in which new boundaries are drawn, compensation to families victimized by years of terror (both sides), and a road map designed with educational, psychological, social, and economical support in which both states work side by side as partners instead of adversaries? Thank you to Yosef for pointing out this amazing news headline.